Managing conflicts is a skill that many people wish they were better at. As a blog writer, I have to know what type of words people search for on the internet, and conflict resolution is one of the top searches. I believe one of the reasons why it is such a sought-after skill, is because most people have bad experiences with conflicts. Conflicts can destroy marriages, friendships, and partnerships. But conflicts can also be really good for relationships. 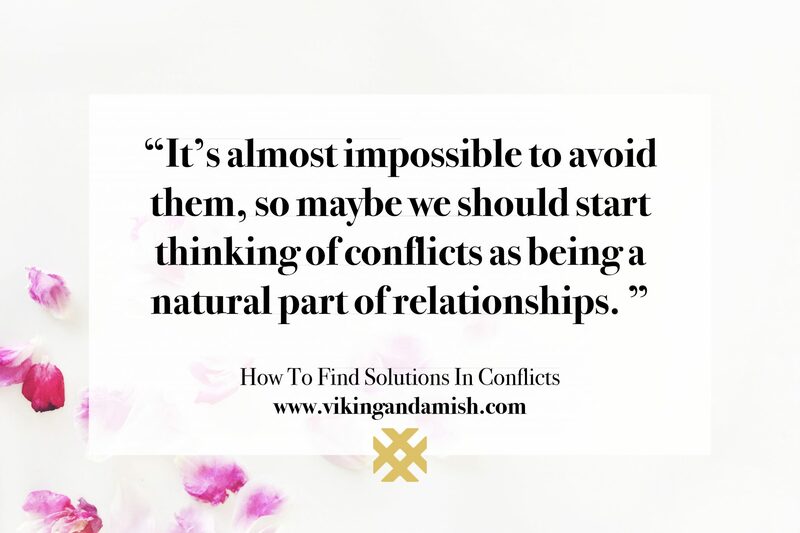 It’s almost impossible to avoid them, so maybe we should start thinking of conflicts as being a natural part of relationships. Conflicts can actually be good for a healthy relationship. If you are in the middle of an ugly and uncomfortable you might think: “How can you say that?” but I have experienced that conflicts can be beneficial. I believe if the attitude is correct, conflicts are a sign of growing together as a couple or in a friendship. Our attitude towards conflicts is the first and most important thing to address. Why? Because a person’s attitude to conflicts often determines the outcome. A study of college students done by Metts & Cupach (1990) showed that students in close relationships who believed that conflicts were destructive were much more likely to ignore, neglect, or even end the relationship as soon as they experienced conflicts. They would rather end the relationship than dealing with the conflict and seeking solutions. There are three things that define conflicts. Conflicts can only exist if BOTH parties in the relationship are aware of it. If the issue is not addressed, there is no conflict. It can be tough to come to a solution if you are not aware that there is a struggle. Conflicts arise when two parties have goals that are contradictory. Contradictory goals prevent each other’s goals from happening. This is the core of the conflict. The conflict will not be resolved until there is a solution to the contradictory goals. Let me begin by reiterating that in most relationships all these occur. 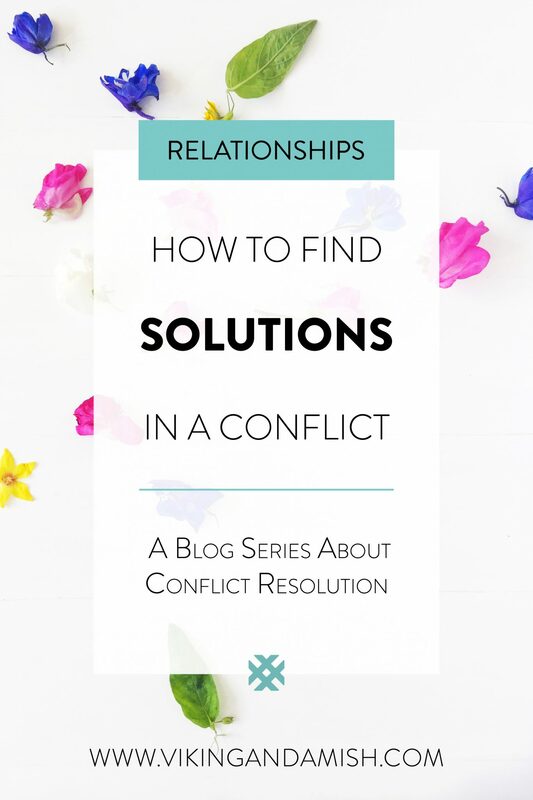 One of the things I hope to accomplish with this blog post is to help readers have less of the negative conflict styles and more of the positive ones. The nature of this conflict style is avoidance. In this situation, both parties choose not to deal with the conflict. This conflict style reveals a negative attitude towards conflicts. You want to avoid ending up with this style when you can because there are no positive outcomes for them. Accommodating conflicts are conflicts where we just give up and let the other person win. This is not really a positive attitude towards disagreements either. We run the risk of leaving the conflict bitter or indifferent. By letting the other person win and not caring we could risk losing interest in the relationships. With that said, there is something so true about the sayings: “choose your battles,” and “win the fight, lose the war.” Sometimes our own opinion or goals are just dumb and we are right not to enter a conflict. Considering the importance of the goal beforehand is wise, but this also means that we have to choose to enter the conflict at times. The competing conflict style. In this scenario, you have chosen that this is a hill worth dying on. This type of conflict shows that we believe our goal trumps the other parties goal. It makes sense that these types of conflicts are most damaging to romantic relationships. Similarly, it can shake a friendship. But in parenting, especially if there is a teenager involved, this conflict style can be necessary. 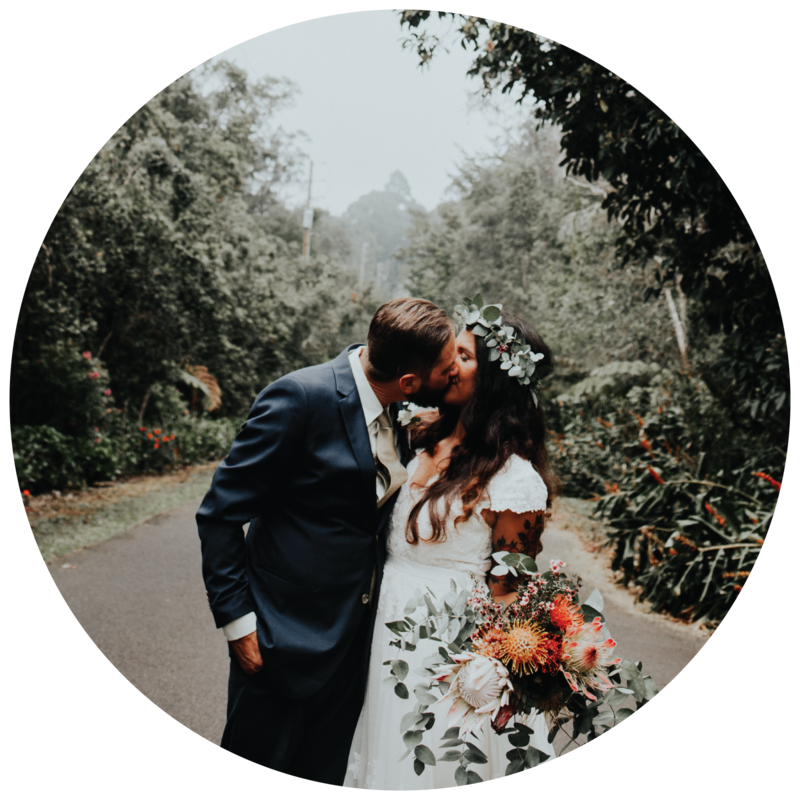 If you are in a relationship with a partner that has a tendency to avoid conflict, you might want to consider if they have negative connotations of conflicts because they always ended up on the losing side of this type of argument. The compromise. We tend to think of compromises as an ideal solution, but compromises should not be the desired outcome of a conflict. Allowing compromise means that both parties have to lose something in order for agreement. Wouldn’t it be better if no one had to lose? Of course, there are times when the compromise is the only solution, but before settling for compromise we should strive for better. The solution we should strive for is (tada!) a Win-Win. This conflict style is also called collaboration. This conflict style comes down to satisfaction. What is the most satisfying solution for both parts? It requires that both parts actively take part in the solution to accomplish both parties goals. Collaboration conflicts are the type of conflicts that make a relationship better and healthy. Is collaboration always an option? Be ready! Make sure both parties are prepared and willing to find a solution. If needed, set a date to talk about it. I wrote about timing in the last blog, and how it prevents defensiveness. Dialogue! Talk about the problem and how it affects each party. If needed, apply the perception checking tools. These tools were also mentioned in the last blog. Listen! Apply an active listening style. Consider the other person’s point of view. This shows respect for the other parties point of view, and it makes it easier to reach a solution. Negotiate! Fair negotiation happens when the conflict is identified and defined. Talk about possible solutions. Be willing to explore alternative solutions to what seems obvious. Agree on the best solution. It appears simple, but this can put both of you in the winning seats. Follow up! When you find the most appealing solution, try it. Make sure to follow up to check that it indeed is the best solution. 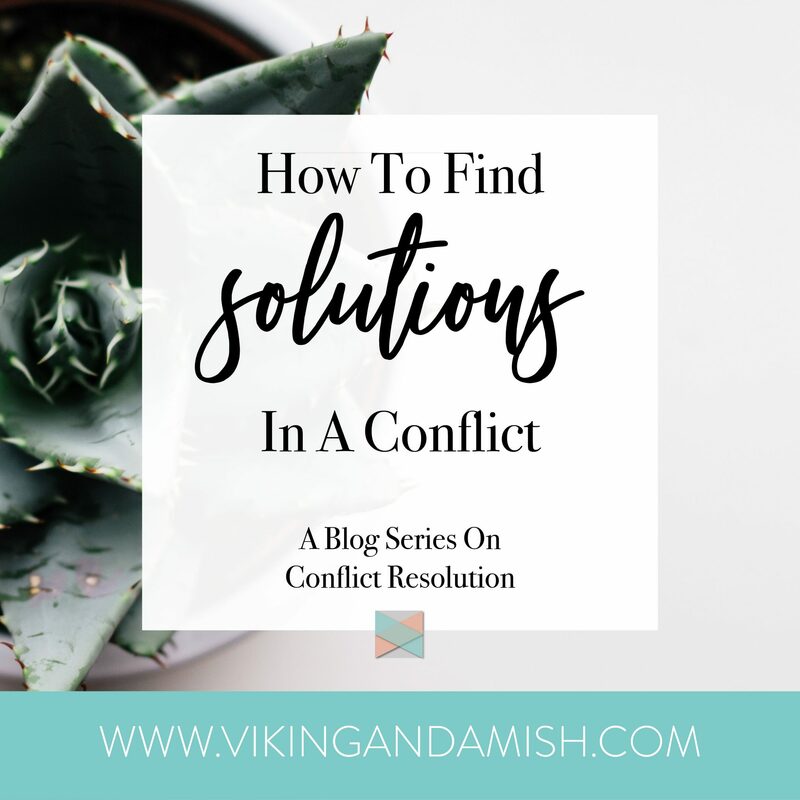 Sadly, the Win-Win solution is not always an option, but relationships that attempt collaboration will adopt a positive attitude towards conflicts. Once you can check off a Win-Win solution for your relationship resume you will not want to do conflicts any other way. You will be able to apply the same strategies at work, in sports, raising children etc., and you will see that the relationships grow healthier in the process. Conflicts ARE natural in relationships and if we adopt a positive attitude towards conflicts then they won’t be a nasty thing that ends in a screaming match. 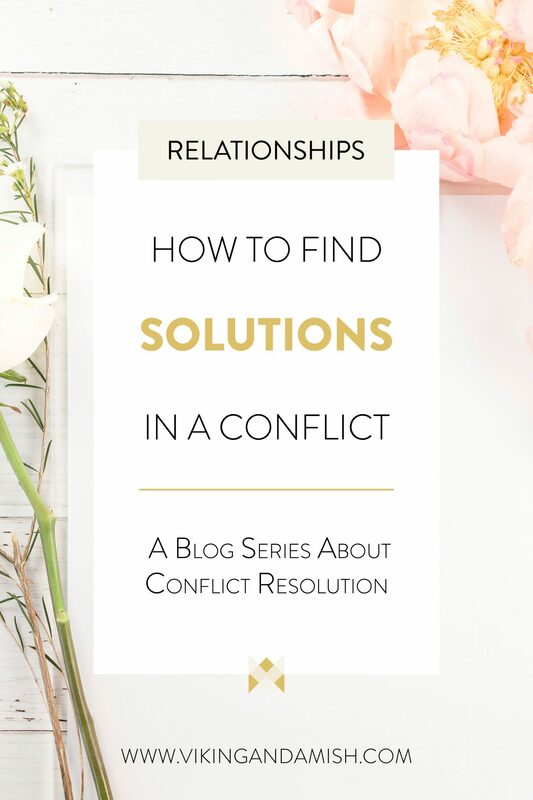 This blog post finishes the series about conflict resolution. I wrote about emotional responsibility in the first blog. In the second about how to communicate in a conflict. This final post is about achieving the goals that make relationships stronger. Though you can read these posts one by one, they don’t make much sense without each other—I think they should all be read together. Now, I hope you go and find yourself a very constructive and healthy conflict to solve. Please share the love and comment below. . Yes, it was a new world for me to enter, when I first learned about it. Conflicts weren’t that scary any longer. Thanks for stopping by.